Hardly anyone seems interested these days in developing a story slowly, gradually tightening the net around the reader. 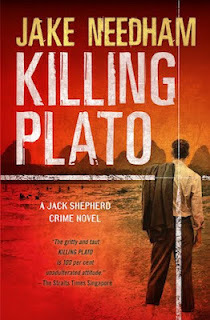 Most crime novels start with violence and keep up a hectic pace. But speed and murder aren't the only way to hold a reader's interest. Another is the employment of brisk writing and interesting characters. Jake Needham's Jack Shepherd novels fall into that category: as I mentioned in my review of the first novel in the series, Laundry Man, the series is in a first-person narrator that is cool, funny, and good company. 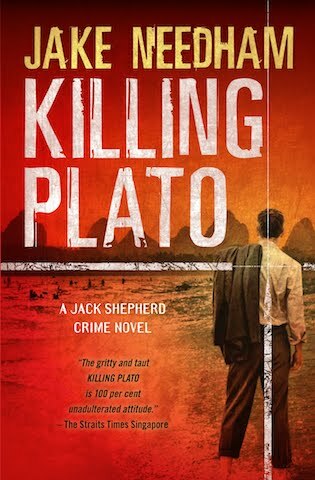 As with Laundry Man, the second novel in the series, Killing Plato, starts quietly, with an encounter in a bar between Shepherd and an American fugitive who is hiding in plain sight in Thailand in order to avoid prosecution for financial crimes as well as a possible murder. Rather than jumping into the relationship, Jack rejects the offer of friendship and employment, a classic ploy of fiction, the delaying tactic. But instead of being frustrating, we experience the delay as if we're friends of Jack's, sympathetic and happy to see where this will lead. The novel shifts the Eric Ambler style of spy novel (an outsider gets caught up in the dangerous game is the usual Ambler pattern) into a post-Cold War cynical world of financial crime, casual murder, and spiralling conspiracies. I mention Ambler not only because of the plot but also because of the tone: Needham's prose is never overwrought, Jack's voice is always natural even under stress. His stress in this case flows from being increasingly caught up in the fugitive's web but also in a sad but totally believable subplot concerning his life with Anita, his love interest here and in Laundry Man. 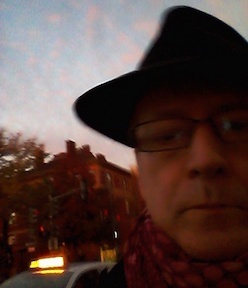 The conspiracies intertwine up to a point where they seem to implicate everyone from the U.S. president to Al Qaida, but after bringing forward (through dialogue with some of the conspirators) the more extreme threads of the overall pattern, Needham narrows ominously down to terrible verisimilitude and a coherence with historical events in the final passages, making the dark conclusion all the more credible. The unresolved threads of the plot trail out beyond the confines of the novel into the reader's daily life (and evening news). The contrast between the increasing darkness of the story and Jack's lively voice has the dual effect of keeping the story moving and drawing the reader quietly into the depths of corruption, power, and money. There's a new sequel, and I'm anxious to see how Jack scrambles back from the edge of this political and emotional precipice.